Milngavie Pipe Band was formed in 1966 as a community band and wears the distinctive Buchanan tartan in honour of the Provost of the time, John Buchanan, who was influential in securing a home for the band, Corbie Ha' which is still used as a practice hall and social club. The band competes in grade 3 around the Highland games circuit during the summer and over the years has won prizes at every major championship. Scott Montague has just taken over as pipe major and is keen to take the band to the next level in the coming season. There is a commitment to teaching local young people to play both pipes and drums, with structured classes which feed the Novice Juvenile band led by P/M Peter Maxwell. Both bands have been commended for the community and charity work they have done over recent years with a presence at events run by the Prince and Princess of Wales Trust, Christian Aid, Cancer Research and St Margaret's Hospice among others. The band has performed at functions as diverse as Moffat gala day to a traditional street festival in Verona or the annual Breton extravaganza in Lorient and is pleased to welcome guest players from several nations including Switzerland and Denmark. IMPORTANT: The price will be based on a typical weekend fee in this act's local area. Where the act is required to travel the fee will be higher. Rona Dawson has been playing pipes for more than 25 years, taught initially by Johnnie Morrison and then by Angus J MacLellan of Strathclyde Police for many years. She worked in the College of Piping for five years and has played in 3 bands, Milngavie, Strathendrick and Strathclyde Fire and Rescue and is currently back at Milngavie. She also plays Hamish Moore Scottish Smallpipes and enjoys (attempting) to play with other musicians at folk nights and sessions. She is committed to teaching young people and currently has 6 pupils. Craig McFarlane..highland piper for 28 years..he has played with 7 pipe bands including 5 years in the world famous 2ND BTN SCOTS GUARDS regiment. Ex solo competitor before joining the army, winning places in 7 solo competions before joining the army. 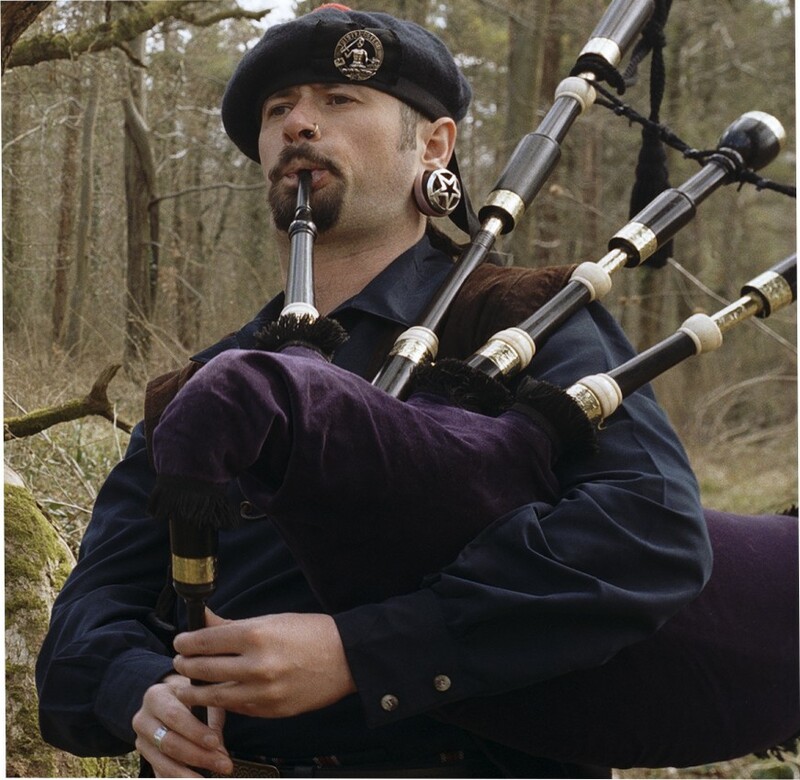 Craig plays every style of piping including "piobaireachd", the ancient classical, and only true original form of Highland piping. Craig has played at numerous funerals, weddings and other engagementa through the years, and dresses in full ancient MacFarlane clan reggalia for all functions. A high standard is guaranteed for all events.